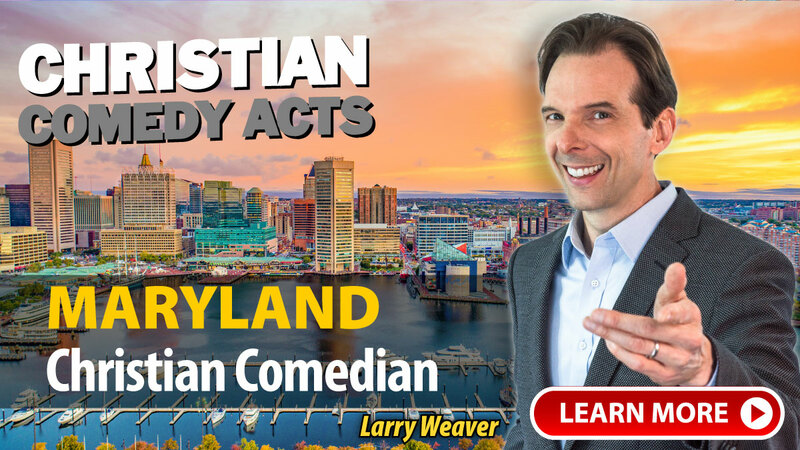 Christian Comedy Acts helps you find local Christian comedians, Christian speakers, Christian magicians, Christian ventriloquists, and top clean comedians in the Maryland area. Find Christian entertainment for your church fundraiser, banquet, outreach or ministry event today. "John Felts did an excellent job for our church. He did some prep work ahead of time to personalize his performance. He actually spoke for us in all 3 of our Sunday morning services and even added some new material each time. We couldn't have been any happier! Thanks so much!" "John Felts was such a joy to have at our 15th Annual Father Daughter Gala. He performed at our Gala 4 yrs ago and we were thrilled to have him back. He kept our audience roaring with laughter most of his performance. His quick wit and ability to connect with all in attendance is amazing. Thanks so much John for being so genuine & kind. Can't wait to have you back!!" "What a wonderful weekend we had with David Ferrell! He was warm and witty and made us laugh til tears ran down our faces! He was wonderful with a big crowd in a big room on Saturday night, but he was outstanding in the sanctuary (a much smaller space) on Sunday morning. The interaction with the congregation was tremendous, and it couldn't have gone better. Thanks so much for making David's time with us possible! Hope we can work together again on future Joy of Faith weekends!" A few of the towns these nationally-touring Christian Comedians have performed in include: Annapolis, Baltimore, Bethesda, Cambridge, Columbia, Edgewater, Elkton, Frederick, Hagerstown, Huntingtown, La Plata, Mechanicsville, Mountain Lake Park, Oakland, Ocean City, Poolesville, Waldorf, Walkersville, Westminster, MD and others.